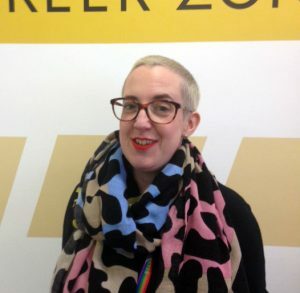 Jenny Woolacott-Scarr is Career Zone Information Officer based in the Forum, Streatham Campus. You’ve seen your dream job, and only one thing stands between you and getting an interview; the application form. Little boxes? Impenetrable questions? STAR technique? Don’t worry, we’ve seen it all before and we’re here to help. Answer the question. If you’re stuck, think about it from the employer’s point of view; they’ll only ask something that’ll help them decide whether to interview you or not. If they ask about leadership then the role you’re applying for will involve leadership. Give clear, concise answers using the STAR technique; think of it like telling a joke, we’re waiting for the punchline, the employer is waiting for the Result. Employers don’t just want to know what you did, they want evidence that you’re good at it too. If there’s a word limit use all the space available, otherwise it looks like you don’t have much to say. If there’s no word limit try and keep your answers around 500 words. When you talk about your work experience employers are also looking for transferable skills like teamwork, leadership and time management. Have a look at the job description and person specification and try and mirror the language. Job applications are not a time to be subtle. Show evidence that you’ve researched the company, the role and the market; but go beyond what’s on the website. Every employer thinks they’re different (and better) than the competition, you need to show them you know what sets them apart. Demonstrate that you really want to work for them; show passion and enthusiasm. You wouldn’t interview someone who didn’t care about your company. Book an appointment to have your application form checked, we’re here to help. It might sound cynical, but at the end of the day, when an employer sees your application form, cover letter, CV, or you, they’re really only thinking one thing; ‘what value can you bring to my company?’ Once you get used to this idea, job applications can get a lot easier. If you could invite anyone living or dead to a dinner party, who would you chose? Poor spelling and grammar could ruin your chances; some employers have a ‘three strikes and you’re out’ rule, no matter what language you’re applying in. Don’t forget to show your academic success; be proud of your achievements. If you don’t tell the employer about them, how will they know? Don’t be shy about ‘selling’ yourself; tell the employer what sets you apart from the other candidates, but don’t be arrogant and never put anyone else down. Don’t give generic answers; be specific and keep it relevant. We know it’s hard work applying for jobs, but employers really can tell if you’ve copied your answers from other application forms. Don’t try and dodge the answer. Employers find this really annoying; reading anything other than a direct answer wastes their time. Don’t repeat yourself. If you’re an undergraduate employers won’t expect you to have loads of relevant work experience, but don’t use the same example for every question. Unless the employer specifically asks for it, avoid phrases like ‘I have exceptional attention to detail’ or ‘I have excellent spelling and grammar’. Whenever I see that on a form I think ‘challenge accepted!’ and search until I find a mistake. Occasionally employers will throw a curve ball and ask something like ‘if you could invite anyone living or dead to a dinner party, who would you chose?’ The way to deal with these seemly pointless questions again goes back to the kinds of skills the employer is looking for. Some might want a quirky answer that sets you apart, but most of all they’re looking to see how you cope with a problem that has no correct solution, and how your thought process led you to your answer. They’re basically trying to get into your head. One question we get asked a lot is ‘how many application forms should I fill in?’. The answer depends on you; the more applications you make the greater your chance of getting an interview. However, don’t do so many that the quality slips, and above all never do so many that your academic work or your health suffers. Looking for graduate jobs after your studies can feel like a daunting experience, and with potentially thousands of applications streaming through their email inbox every day, you need to have a plan of attack to stand out from the crowd. 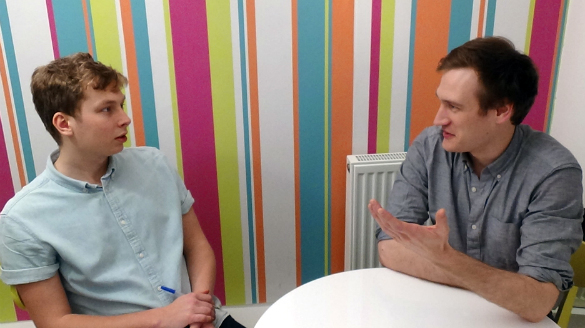 Matt Arnerich talked to Arthur Ashman, Head of Talent Development at graduate recruitment agency InspiringInterns, about his top tips for keeping your recruiter on side. If you get the chance to meet your recruiter in person or over the phone, it’s important to keep a balance between enthusiasm and politeness. ‘When we interview candidates we love them to have enthusiasm and a genuine passion’ Arthur says, ‘but it’s important this doesn’t spill into arrogance’. According to Arthur, it’s important you remain humble, while coming across as confident and professional. ‘At the end of the day, we have to know that you’ll shine when we put you forward in front of our clients, and if you can impress us, we know that you’ll impress them’ explains Arthur. When you’re first entering the job market, it’s tempting to exaggerate your work experience or grades. While you might think you’re bypassing certain filters, it will always damage you long-term. ‘We do thorough research on all the graduates we decide to put forward for roles, and the chances are we will find out if you’ve been misleading on your CV’ says Arthur. It can be damaging for their reputation to pass on candidates to clients who then find their interviewee has been misleading. ‘If we find out you’ve not been truthful, it’ll damage your chances far more than if you’d been honest to begin with, as we can’t take the risk of putting you forward to the clients,’ explains Arthur. This is an important tip, not just for how to keep your recruiter on side, but how to impress potential employers looking to hire a graduate. It’s easy to focus on the skills and experience that you have, but really, your focus should be squarely on how those skills will benefit your employer. ‘If you have a huge range of diverse skills, but can’t equate them to how they’ll aid the company, then employers are unlikely to be interested’ says Arthur, ‘in essence, we’re a sort of gatekeeper to our clients, we only want to let the best through, but if we think you’re good enough we have a lot of authority as we have a direct line to interested companies’. When you move into the graduate jobs world, you’ll inevitably be faced with daily email duties, whether internally or getting in touch with prospective and established clients. ‘You need to make sure you’re professional in your email exchanges with us’ Arthur is quick to point out, ‘please don’t be over-friendly, as it just comes across as insincere’. Arthur suggests using the recruiter’s name wherever possible, and avoiding ‘mate’, ‘pal’ or other colloquial references. ‘Finish off with Regards or, Kind Regards instead of Cheers’ he explains, ‘and please double check your spelling and grammar before you hit the send button!’. ‘We don’t mind if you’ve got another opportunity’ says Arthur ‘but please let us know as soon as possible’. Simply not turning up reflects incredibly badly back on them, Arthur says, and therefore increases the chance they won’t want to work with you anymore. According to a new study, 90% of employers are using LinkedIn to find possible employees, 66% are using Facebook to research potential candidates, and over half (54%) are searching Twitter. But why the sudden focus on social media? The truth is recruiters believe social media allows them to see if prospective candidates can present themselves professionally, and if they’re a good fit for the company culture. Social media is often used as a day-to-day vent for frustrations, but instead of posting negative views; try to keep it light and positive. Although it can be nice to get things off your chest, posting them online makes it available for everyone to see. Once you work for a company, you’ll most likely be entering a non-disclosure agreement to keep certain information private. This may be for the benefit of clients, customers or to keep information hidden from competitors. Whatever the reason it’s best to keep work related information off social media. By turning your social media privacy on you can keep your profile hidden from employers, and reduce the risk of them seeing something they don’t like. According to a recent study by SafeShop, 66% of UK residents don’t have their social media privacy on, so if you want to change your settings, check out this guide how to make your Facebook and Twitter more private. When it comes to your reputation, you don’t want to paint the wrong picture, so discretion is advised when selecting the photos you want to share. But it’s not just the photos you post that you need to keep an eye on; any photos your friends may share will also show up on your profile. 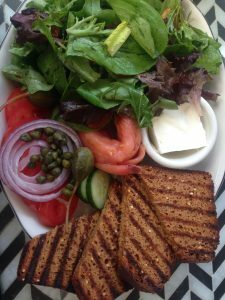 Friends can often post inappropriate content that we have no control of, but if that content includes you then you may need to hide these posts from the public. This is now possible thanks to Facebook’s new review feature that allows you to review posts once tagged, before they show up on your profile. Whilst some would argue it’s unfair, we’re often judged by who we associate with. For this reason and your general safety, it’s important to only accept friend requests from people who you actually know to ensure your reputation remains intact. If you haven’t done so already we suggest you create a LinkedIn profile now. It is almost inevitable at some stage you will have some sort of interview, whether it be for that first graduate job or possibly a postgraduate course. This can be in person, by telephone or even Skype, but the basics remain the same. You need to convince the interviewer that you have the motivation and skills they require. Preparation is an important factor for any interview but you can never fully predict how the interview will be structured and what may be asked. 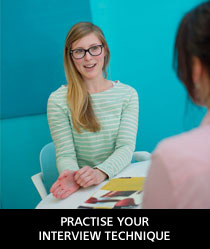 Practise can offer that key insight into the interview process where it all comes together in terms of you communicating effectively verbally and through your general demeanour and body language. 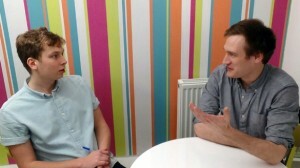 The Career Zone often has employers offering “mock” interviews which provide the opportunity to have a realistic interview scenario with an experienced recruiter. It doesn’t need to be your ideal employer or your dream job to be valuable. You will face a challenging interaction with someone who will explore your motivation and test the evidence of your skills by discussion of your actions and achievements. It is not only what you say but how you come across, so the great benefit of a mock interview is the opportunity to practise and receive detailed feedback on your performance. Feedback is not always an option when you have “real” interviews and of course your graduate future is not dependent on the outcome of the mock interview. Login to My Career Zone and click on the Events tab. Enter ‘interviews’ into the search tab to see what upcoming sessions are taking place. These opportunities get filled up quickly so it’s a good idea to book early to avoid disappointment; it could be the experience that gives you the edge in your future career. 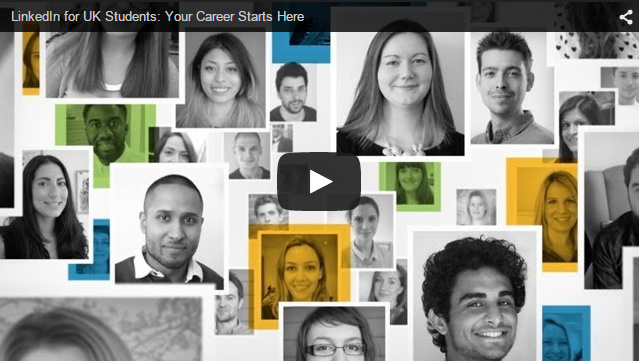 Take a look at some of our interview resources in My Career Zone. Networking is perhaps more important today than ever before, and the old adage “it’s not what you know but who you know” couldn’t be more relevant. With roughly 70% of jobs roles going unadvertised, being linked in to a network of people across a wide range of industries is the best way to keep your finger on the pulse in terms of what’s out there. LinkedIn is currently the foremost online professional networking community with over 75 million worldwide users in over 200 countries. It’s continually growing, with a new member joining approximately every second. It’s an ideal way to network across different sectors, look for and talk to potential employers but more importantly talk directly to key stakeholders and decision makers in organisations of interest. LinkedIn have produced some fantastic guides to getting started specifically for current UK students. They cover how to create an awesome profile and tips on getting to grips with what recruiters are really looking for. Head over to students.linkedin.com/uk to find out more. For more advice and help with job hunting with social media take a look at our website and search My Career Zone for our training session Focus on Social Media – an introduction to how Social Media can be used in your career planning. The introduction of integrated webcams into desktop, tablet and smartphone devices together with improvement in broadband speed has meant that a new form of job interview is becoming mainstream. Video-chat job interviews, which are commonly conducted using the free cross-platform software Skype are becoming widely accepted as an alterative to phone based interviews. In this article we look closer at several best practices to improve your chances of success. Plan Your Settings – Dissimilar to phone based interviews, which can be taken discreetly in many forms, the settings in term of background visual, noise and even lighting conditions should be taken into account. The recommendation is to choose an environment that you control so to help ensure professional looking surroundings, limited or no background noise and sufficient lighting. Prepare in Advance – Any documents that might be needed (even a copy of your CV) should be handy well ahead of the interview. Make sure that you are ready for the interview at least 10 min before the scheduled time. This will give you plenty of time to setup the device, sort any last minute hurdles, get into the right state of mind and most importantly, avoid lateness. Dress Top to Bottom – Webcams feature wide and long zoom, meaning that the picture transmitted to the interviewer includes more than your face. It is an all too common mistake to focus only on dressing professionally above the waist, while neglecting the bottom part. It is also widely believed that if you want your brain to believe that you are functioning at your best, dressing professionally head to toe helps. With regards to the dress code, you can visit the employer site or social profiles for clues as to company culture and dress code. Otherwise, recruiters agree that a suit, long-sleeved shirt, tie, and little or no jewelry, and a groomed appearance will make a positive first impression on potential employers. 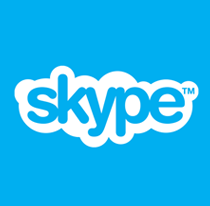 Practice Skype Interview – One of the keys to acing any job interview is demonstrating confidence. If you haven’t any video chat interview experienced, it can be unnerving at first. Therefore you should consider practicing this form of interview before the actual one. If you are using a recruitment agency or career advisor, they might be willing to conduct a mock interview with yourself. Otherwise, family member or friend can also play the part of the interviewer. Lastly, make sure to switch on the Picture-in-Picture feature in Skype so you can see how you appear. At The Interview – Look straight-ahead at the camera lens when listening or talking and avoid letting your sight wonder away. Refrain from raising your voice, in fact, try to mimic the tone of voice of the interviewer. The microphone of many devices is incredibly sensitive to background noise, so don’t tap anything, play with your pen or even shuffle papers around. If you are taking the interview at home, make sure no household member interrupts you, whether two or four legged. Written by The Carling Partnership Ltd (CPL). A leading international search and selection company working exclusively within the brewing and drinks job sectors. Phone interviews: how do Exeter students handle them? Being interviewed is a big part of application process for almost any graduate level job. But we’ve heard from some students that big employers are relying on phone interviews more than ever. 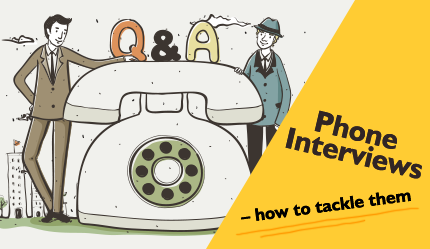 How is a phone interview different from the usual suited-and-booted face-to-face affair, and what can you to do prepare? Imogen, a second year English student, found that every internship she’s applied for has involved a phone interview. The interview stage might be daunting, but Imogen reckons she much prefers phone interviews over face-to-face. It’s easier to refer to notes and she can be in relaxed and comfortable surroundings when the phone rings. Of course, there’s a risk of being too casual on the phone, so regardless of whether you’re wearing a suit or pyjamas, you should always remember to keep the tone polite and professional. It will help if you’re relaxed – but don’t talk to the interviewer on the other end of the phone the same way you would your best friend! The trick then, is to make sure you really know your stuff about a company – and the sector they work in – before getting to the interview, so you can answer questions confidently and won’t be left rummaging through your notes at the last minute. Before her interview with a logistics company, Imogen read a report about the logistics industry, and did a SWOT (Strengths, Weaknesses, Opportunities, and Threats) analysis of the company (attending a Project Planning session could help you find out more about tools like SWOT analysis – and it counts to your Leaders Award). Preparing and practising for a phone interview can also help you get your nerves under control – but there are some things beyond your control. Things to watch out for in a phone interview include a busy or incommunicative interviewer; companies may use interviewers from external recruitment agencies who could have a checklist of standard questions to ask, or your interviewer may be pressed for time. There’s not much you can do in a situation like this – but from Imogen’s experience this is a time to sell yourself against the odds, by remaining calm, remembering your research and staying resilient. We’ve even heard that some employers – including technology and grocery companies – are taking a high-tech approach to phone interviews – replacing them with recorded video interviews, where candidates speak into their webcam and their responses are recorded to be watched by an interviewer later. Ellie’s advice for interviews like these is to stay friendly – remember to make eye contact with the camera, be as relaxed as you can, and try to smile! The interviewer will want to see your enthusiasm and knowledge, so do your best to make sure these shine through, even if you’re nervous. That’s good advice, regardless of how you’re being interviewed. Sincere thanks to Imogen and Eleanor for their input. Josh Smith is the Career Zone’s Information and Systems Assistant. Have you had any phone or video interviews? What did you think of them? Let us know in the comments below. History graduate Emma Oliver talks about completing The Exeter Award and The Exeter Leaders Award which are designed to enhance your employability and boost your CV through giving you recognition from the University of Exeter for the activities you are participating in outside of your studies. In my final year at the University of Exeter I completed both The Exeter Award and the Exeter Leaders Award. Neither of the Awards took up a large amount of time nor were they detrimental to my degree, as the extra-curricular activities I was already taking part in fulfilled some of the award criteria. Aside from studying History at Exeter, I devoted a huge amount of my time to extra-curricular activities which included being an active member of the History Society and playing netball for the University. In my final year I was President of the History Society and helped to coach netball to the clubs non-BUCs teams. Both of these activities fulfilled the criteria for the Exeter and Exeter Leaders Award. I believe that the Awards have helped to enhance my CV as they demonstrate the skills I have learnt and developed through my personal activities as well as the skills development sessions which one must attend, such as team work and leadership, as part of the Awards. These short but effective sessions are valuable preparation for graduation and provide official university recognition to the range of activities I have undertaken during my time at Exeter. Furthermore, active involvement in university life or any extra-curricular activity has been proven to be vital to any job interview. The skills and insight both the Exeter Award and the Exeter Leaders Award have provided has been hugely beneficial. In the summer of my second year I gained an internship at HSBC for 8 weeks. During the 8-week placement I was able to gain a further insight into the banking industry. I was placed in the operations department and every week I attended a presentation from a variety of departments within HSBC, such as Risk and Asset Management. I not only learnt and contributed to work within my own department but also gained an overview of HSBC and the banking industry and how it operates as a whole. It was extremely interesting and valuable, not just as work experience but also in utilising and practicing some of the skills the Exeter Award and the Exeter Leaders Award encourages – such as the value of effective communication, team work and establishing a rapport with people. I am now about start the Teach First programme, which is an independent charity founded to encourage ambitious graduates, who would not normally enter teaching, to teach for at least two years in challenging secondary schools throughout the UK. 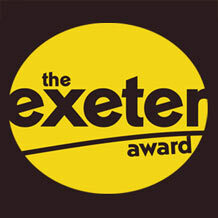 You can find out more about The Exeter Award and Exeter Leaders Award on the Career Zone Website. 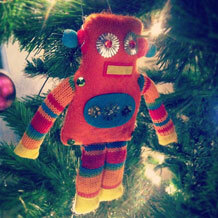 Need a CV that’s all Christmas cracker and no overcooked turkey? Start your CV with your name, and make it bigger than anything else on your CV. Next comes your contact details including your mobile number and email address. What you don’t want to include is a photo of yourself – in some countries it’s a legal requirement, but not in the UK. Each section of your CV runs in reverse chronological order starting with the course or job you’re doing at the moment, but don’t live in the past – what you’re doing at Exeter is (usually) more important than what you did at school. …don’t make the section on your A-Levels and GCSEs (pre-university qualifications) longer than the section about your course at Exeter. Employers aren’t looking for lists; they want to see what relevant modules you’re taking and what relevant skills you’re gaining. Triple check your spelling and grammar. Triple check your spelling and grammar. Triple check your spelling and grammar. Hobbies and interests are a brilliant way to tell the employer more about you as a person, and about any other skills you can bring to the job. So tell us how your cupcake baking is helping you develop your creativity. But think about what you want to include; being a member of the Pole Dance Society might be fun, but it’s not right for your law internship application. Your CV should be either 1 or 2 sides of A4. 1 ½ looks like you’ve run out of things to say, and even Lord Sugar wouldn’t have 3 pages. Try expanding or editing your info so it’s a good fit. Running your own eBay, Etsy or other online shop looks great on your CV – who wouldn’t want an entrepreneur working for them? Your CV is all about selling your skills and experience, but keep it relevant to what the employer is looking for. Do they want ‘team players with excellent customer service skills and great communication’? Think about how and where on your CV you’re going to show them you’re that person. Don’t be funny. Yes, you want a CV that stands out from the crowd, but using humour is a big no-no. You don’t know who’s going to read your CV and you don’t know what kind of mood they’ll be in at the time, so keep everything professional. Don’t overstate or understate your language abilities. If you can order a beer and loaf of bread you’re not ‘fluent’. Even if it’s malted granary poppy seed roasted onion and chive bread. Work experience doesn’t have to be paid – it’s what you’ve done and what you’ve gained from doing it that employers are looking for. Great unpaid or voluntary experience equals great work experience. And finally, repeat after me – ‘The most relevant, most brilliant and most exciting stuff goes on the first page of my CV.’ Because you don’t want to hide your best bits, do you? For more help and advice we run CV skills sessions and individual CV appointments all year – you can book both through My Career Zone. *not actually related to Christmas in any way.